A Kinetrol USA MidWest Distributor assisted in part of a water treatment plant upgrade, where pulsators using double acting cylinder operated valves were upgraded to super- pulsators, which required more frequent operation. This is a relatively new process for removing particles from the water. 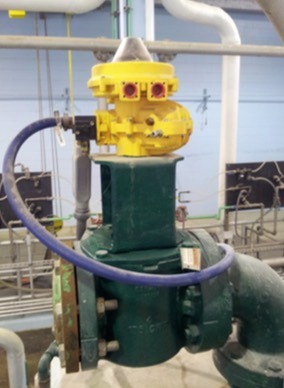 4" Plug Valves with Kinetrol actuators and ULS limit switches were installed due to the increased frequency of operation, longer life expectancy and low maintenance.